Bran Stark, Sana Stark, Catelyn Stark, Arya Stark, Roz, Melisandre, Samwell and Hot Pie (HOT PIE!!!) decided to regale the crowds at the red-carpet premiere with their own striking rendition of the iconic Game of Thrones opening them, courtesy of MTV Geek. 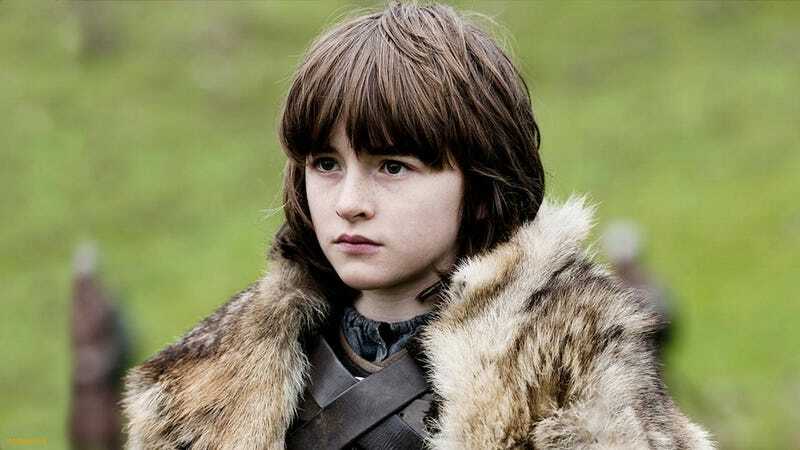 It's fun, but you need to watch it mostly to see how hard Bran's actor, Isaac Hempstead-Wright, was hit by the puberty stick.